Custom Cobra Banners are a great way to attract attention to your business or promotions. These towering 10’ flags in eye catching colors can never be missed. Available in single face reverse and double side imprints, these banners can rotate 360 degrees for constant visibility and are reinforced with 2 rows of lock stitching on both hems and sleeves to ensure a trouble free performance. Well suited for indoor, outdoor and portable advertisements, these banners are finished with angled sleeve for 10' Cobra Poles designed for these banners. Shop from our collection of Personalized Cobra Banners and you'll find the best prices, quick shipping and much more! 100% customer satisfaction guaranteed! CLICK HERE for Cobra Banner Hardware. Custom cobra banners stand out for its impressive height of 10’ which will hoist your message and brand above the clutter and the marketing crowd. The impressive colors and the 360 degree free rotation feature of these banners will make these a well sought after promotional billboard for all types of events. 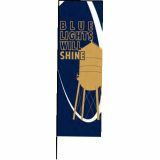 Be it school spirit rallies, tradeshows, store promotions or street displays, nobody can turn a blind eye towards these drop dead gorgeous banners. Made available in both single face reverse and double face imprint options, our Personalized Cobra Banners are printed on aJet Flag material feature withHigh Resolution, 600 DPI digital printing. 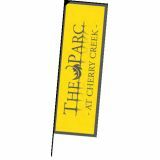 100% made in USA, these flags are designed to last long and look great all through your branding campaign. So, if you have been searching for an advertisement option that will never fail to grab the attention of your audience, cobra banners could well be your choice. 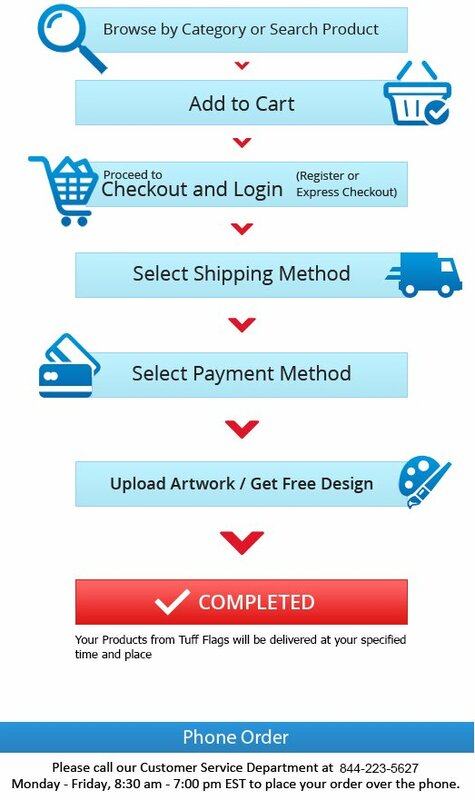 Customize it with your brand and message and see how these banners draw eyeballs quite easily. Need help with your design? Just let us know and we can help you come with a perfect custom design of your choice. We have an impressive collection of Personalized Cobra Banners. Browse our collection of personalized Cobra banners to shop the best rates. 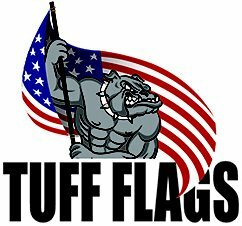 Should you need any tips, call us at our toll free number (888) 872-3524 or email us at customercare@tuffflags.com and our team will be happy to be of assistance to you.